It's quite depressing isn't it!? Watching the stock market hit all time high after all time high at the same time bitcoin and other crypto currencies prices go through the roof. All this while gold and silver excitedly move higher but then depressingly drop back down again. Makes you wanna sell all your physical precious metals and sink everything into paper or digital assets. Right? Do your friends, neighbors, and/or co-workers tell you how much money they are making from their "investments"? Do you feel like you are missing out? I hope not. It can be discouraging to watch as gold and silver prices go nowhere, while the world is in turmoil and crisis mode, when they should be going up. That is unless you have a firm understanding of the truth of real money and real wealth. Gold and Silver are real, honest money. Individual rare elements created by God dug out of the earth, smelted, and refined by hard working men for the purpose of trade and barter. Cryptos, stock, bonds, and anything else created by dishonest men to get rich, that you can not physically hold, are an illusion of wealth and the opposite of real, honest money. A bet and a gamble is all they are. Speculation and greed is what they represent. As for fiat currencies even though you can hold them in your wallet they are actually a debt note due back to the maker with interest attached, created quite literally out of thin air. 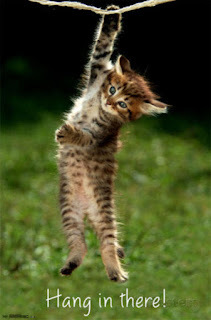 Hang in there is my enthusiastic request! Hear me now and believe what I am about to say! Those of us who have the "curse" of knowledge and absolutely can not and will not participate in the over valued, manipulated, and fake "equity" markets ("Equity"?! Ha! What a joke!) WILL soon be greatly rewarded for obeying the law. Obedience to eternal laws and commandments will always produce the blessings attached to them. Those whom stick to their moral standards, whom refuse to participate in dishonesty and deceit, will reap the rewards and blessings that accompany obedience of that law. God commands us to be honest and will bless us when we are obedient. "Thou shalt not bear false witness..." applies to all aspects of honesty and there are many other scriptures that tell us lying is wrong. What this means I don't exactly know but here is what I believe it means and what I believe the eventual results will be. Gold and silver will continue to be suppressed, manipulated, and controlled for a little longer. This will continue to weed out the weak hands, the ones who do not understand, while only those who are strong with understanding and determination will hang in there. Unfortunately it will go on until it no longer can. Through various situations that are currently in motion, including the East backing their transactions with gold, cash being used less and less until it will be eliminated completely, the world being on the brink of war and social chaos, and many, many other factors, control of the paper gold and silver markets will be lost and the true value of gold and silver will be manifest. I anticipate that gold and silver will be revalued overnight from right about where they are now; about $17 silver and $1,300 gold, to what some would consider "insane" levels. But this will just be the beginning. It's about cause and effect; the relationship between actions and their generally unintended effects. As long and as hard as gold and silver prices have been suppressed, as excessively overvalued the stock market is, as insane the levels of debt the world is bound with, the equal and opposite reaction will take place with all markets including gold and silver when the system breaks. Hang in there you silver and gold stackers! The ride will be worth it and you will be rewarded for your honesty! PM me on Facebook, or send me an email, if you would like to know where I feel the initial price of gold and silver will start when it takes off. Of course this is just my opinion and not intended as any kind of financial advice. I do not sell gold nor silver and only intend to benefit from my own savings.